Once a person gets to a certain age, it can be a bit difficult to stay flexible and have the same type of mobility as before. 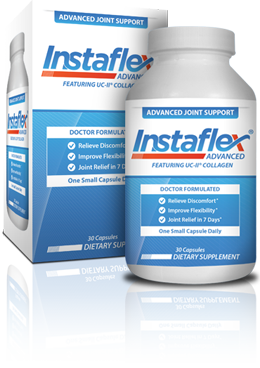 Instaflex is a dietary supplement that is designed to help turn back the clock by reducing aches and providing amazing joint support throughout the body. It is one thing to claim that, but does Instaflex work? Just about any adult is going to get some type of value out of InstaFlex if they use it on a consistent basis. That is because the body is always going to have a little bit of discomfort here and there. It is designed for people who have nagging discomfort, not just a current injury. For example, a sprained ankle is probably not going to be helped that much with this supplement, at least according to some InstaFlex review articles. 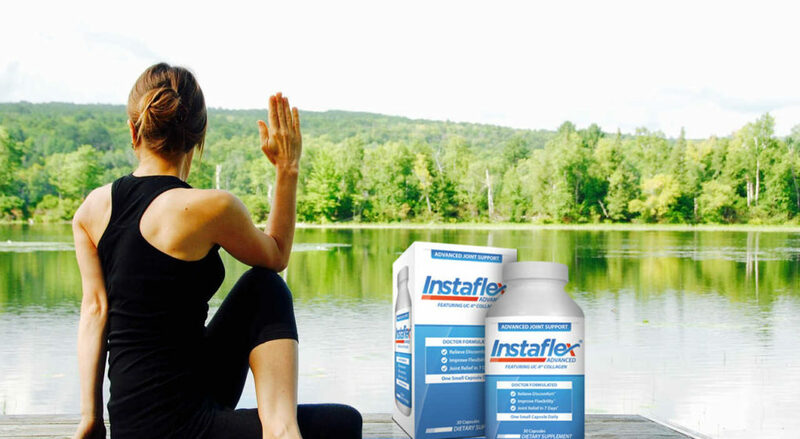 The ingredients in InstaFlex are safe and easy on the body for just about any type of person. There really should be no issue as far as allergies or side effects are concerned. There are not that many ingredients in InstaFlex, which is a good thing since it is not loaded with filler ingredients. The company is not afraid to show off the ingredient list either, which means that they are not trying to hide anything from their consumers. There are a total of six active ingredients in the product, but two of them are a little bit more important than the others. Boswellia Serrata Extract and UC-II Collagen provide most of the magic in the supplement. Boswellia Serrata Extract is labeled by the company as ApresFlex, and it is meant to help with joint comfort almost right away. Other reviewers have noticed a difference in as little as seven days thanks in large part to this ingredient. The good news with ApresFlex is that it continues to provide benefits the more often it is use. It is not known to tail off after a certain set time. UC-II Collagen helps the most with overall joint improvement, and the best part about it is that it is not sourced from shellfish. One of the biggest competitors as far as joint health options are concerned is glucosamine. Unfortunately, those people who are allergic to shellfish will not be able to use anything with that in it. Other ingredients in InstaFlex include Turmeric Extract, Resveratrol, Hyaluronic Acid, and Bioperine® Black Pepper Extract. InstaFlex can be found online and in stores. A lot of people tend to shop on their official website http://www.instaflex.com/ or stop by their local Walgreens or GNC. The company continues to offer their trial offer (for just the cost of shipping and processing) exclusively through their website. Buying directly from manufacturer’s website ensures that you can take advantage of the money-back guarantee, if for some reason the supplement does not work for you. You can also get exclusive discounts when buying directly from the manufacturer. There are many products out there that claim to help with nagging joint discomfort; however, very few products actually deliver relief. InstaFlex is different. Formulated by a doctor, InstaFlex can deliver relief to users in as little as one week. For less than $3/day (the cost of a cup of coffee) you can get relief from joint discomfort. Still unsure if InstaFlex is right for you? Take advantage of the 14 day trial offer (plus the cost of shipping and processing) from the manufacturer and test it out for yourself. Chances are you are going to feel such relief that you are going to want more than just a 14 day supply of the product!